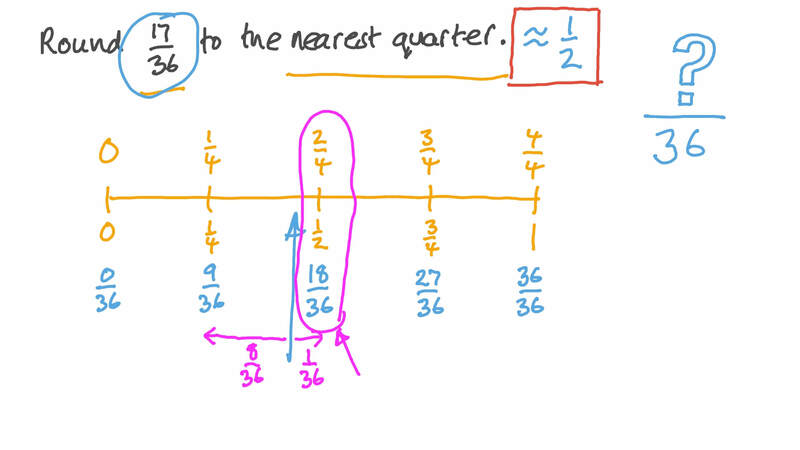 In this lesson, we will learn how to round the fractions to the nearest half or quarter and how the concept of rounding can apply to real-life situations. Round 1 7 3 6 to the nearest quarter. Round 4 3 7 to the nearest half. Round 1 5 2 8 to the nearest quarter. Round 1 3 1 6 to the nearest quarter. Round 1 2 1 to the nearest half. Round 2 6 2 7 to the nearest half. Round 1 5 to the nearest half.